Additionally, the law includes several requirements for an innovative assessment that might be difficult for states to meet. For example, innovative tests have to be comparable across school districts, they have to meet the needs of special education students and English learners, and the pilot programs have to be designed to scale up statewide. If states have any doubts they can meet that bar, they probably won’t apply. Something that stands out right up at the top of ED’s official application for the innovative assessment pilot is the estimated available funds: $0. Any state that wants to develop and pilot a new innovative assessment model will need to fund it themselves, while keeping their existing assessment systems going simultaneously. Some of the innovative assessment models under ESSA — like using portfolios of student work or performance-based assessments — could be more expensive than traditional standardized tests because they take more time and effort to design, administer, and grade. Many states have already spent more on testing in recent years than they planned. When the PARCC and Smarter Balanced test consortia started out in 2010, most of the research and development costs were covered by $330 million in federal grant funds, plus involved states could split the remaining costs. But, as many states left the consortia (most due to political pressure, not due to the quality of the tests), they had to go it alone and buy or design new tests on a very tight timeline. As a result, states’ interest in increasing spending on testing is probably at an all-time low right now. For example, New York seriously explored the innovative assessment pilot, but ultimately decided it wasn’t feasible from a cost perspective. Most states have changed their tests in recent years — some of them multiple times. Every time a state test changes, it takes a lot of effort for district leaders, principals, and teachers to understand the new tests from an administrative and instructional standpoint. 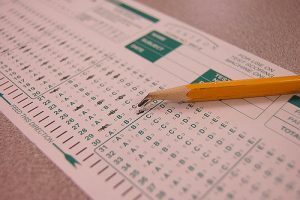 For states that have seen two or three different tests in the past five years, I wouldn’t be surprised if the appetite for yet another big change is low, even among people who would eventually like to see innovations or improvements in tests. Could all this actually be good news for the future of assessments? If it turns out just a few states pursue the innovative assessment program, that’s not necessarily bad news. Back in 2016, I wrote that states should be extra cautious before making a big testing switch — especially if the decision is motivated by frustration with current tests, rather than a positive vision for what an innovative assessment should look like. Plus, states have the ability to make big changes in their existing assessment systems without applying for this specific innovation program. There’s plenty of room for improvement, and it might be more productive to do so out of the politicized glare of a federal waiver program. In the near future, I think we are more likely to see promising, impactful assessment innovations in areas like low-stakes instructional assessments, pre-K to third grade learning, and science education — instead of the end-of-year tests in math and reading. Several states are already doing this work. For example, Louisiana’s new LEAP 360 system includes optional formative, diagnostic, and interim tests aligned to the state standards. And Kentucky is designing a science assessment that uses locally developed in-class tasks to bring new science standards to life, but which doesn’t have accountability implications for schools or students. These kinds of quick-turnaround, low-stakes tests tend to be more useful for teachers than end-of-year accountability tests, and most schools are eager for free, high-quality instructional tools they might have otherwise purchased on their own. Once all the applications for this round of the innovative assessment program are in, I’ll check back with a summary of which states applied and what they plan to do. High quality assessment should begin with high quality standards, which the Common Core blew because it conceived of standards from a minimal instead of an optimal viewpoint. Switzerland has done better with its HarmoS concord, which has agreed standards for the sixth year of primary education that should be of interest to American educators. Programmes are being developed based on these by linguistic community; the English-speaking community can access the equivalent via Cambridge assessment specified as in Singapore, which has an international primary school leaving exam available in a few schools in its region. Independent schools can access its exams for English as a main language of instruction, mathematics, and science online, as One World School has been doing for years; while appropriate second language exams are normally available through states such as China that have also already paid to develop them.